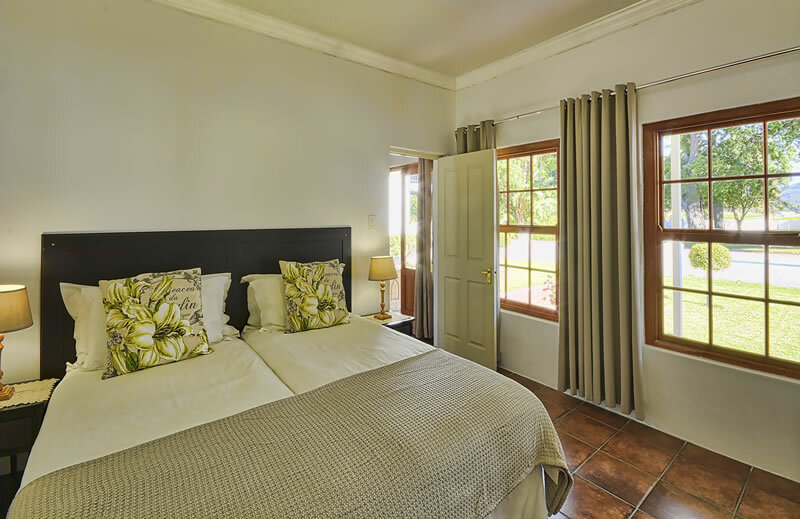 Shiraz cottage is situated closest to the office. It’s a single level, two-bedroom cottage. 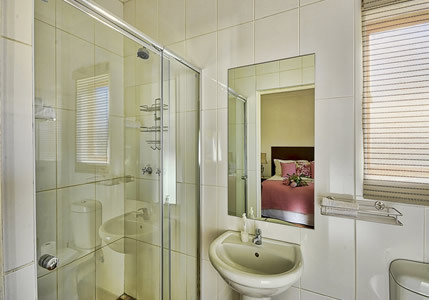 Each bedroom has a king size bed and en-suite bathroom with a shower, plus a small walk in cupboard. 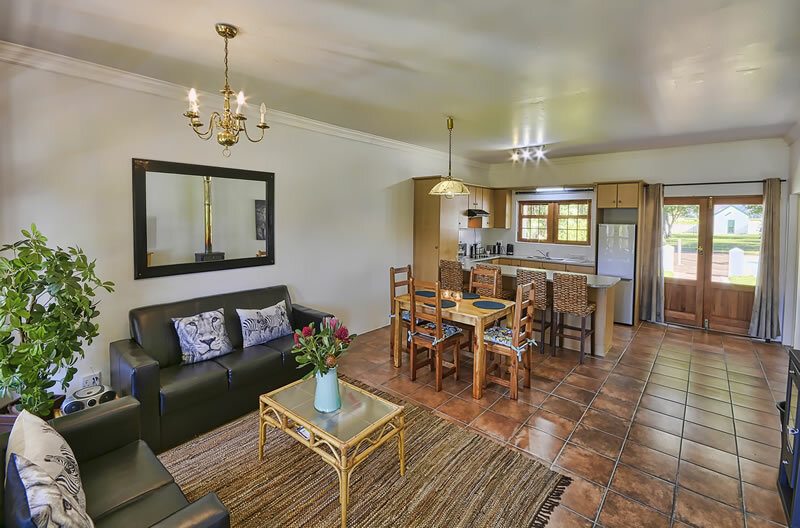 It has an open plan kitchen, dining room and lounge. 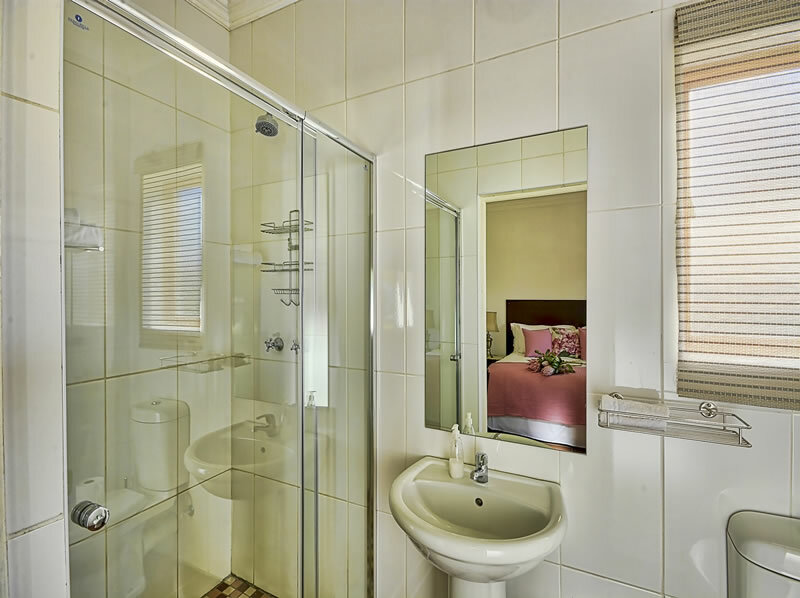 The kitchen is fully equipped with cutlery and crockery, plus fridge-freezer, microwave and oven. There is an air-conditioner in the living room. 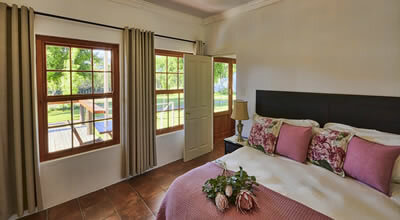 The back porch has a barbeque facility and a wooden deck, with lovely views towards the Wemmershoek river. It has an indoor slow combustion fireplace and an air-conditioner in the main area. We supply a starter pack of tea, coffee, milk & sugar plus soap.